The Recall Command should be the first of the dog training commands that you teach your dog, and is the most important part of any dog training. Be confident that your dog will come to you when called. Training recall to a puppy is often but not always the same as training adult dogs, especially if the adult dog has been adopted. This is because with puppies we have a chance to create the behavior from the beginning, but with an adult dog we may end up dealing with an already established behavior about recalls and at that point we may need to depend more on behavior modification techniques rather than basic recall training. There are many reasons as to why you should train your dog for a recall command, but a couple of the best reasons are for safety purposes, and that it will allow you to give your dog more freedom. He will have more room for exercise that is crucial in his everyday routine. You don’t want to spend the next 10+ years only ever walking your dog on a leash. There is also the equipment failure factor; there is always a chance that the leash or collar can break and such a thing normally always happens at inopportune times or during bad situations. Situations where you absolutely need to have control over your dog. If you don’t trust, or can’t control your dog, you are always on alert and anxious and that is not a pleasant way to live, for either of you. No matter how good your dog is, if he is bad at recall commands his complete dog training operation has failed. And again, remember that this is also the most important and most used command in our everyday life together as well. The actual Recall command training is the same procedure for a puppy or an adult dog (if that adult dog doesn’t already have an unwanted behavior to the command). This is also a great opportunity to apply Marker Training with your dog. You need two people; one to hold your dog, while you go in front of your dog (a few meters away) and call him with a lot of enthusiasm. Remember that the dog has to be warmed up; he needs to be actively participating with you. Read more on how to prepare your dog to be ready for work in puppy obedience training. Once your dog is at the peak, he will start struggling and really trying to reach you, at the moment that your dog looks at you; your helper will then let him go. As your dog is running towards you take one or two steps backward just to lure your dog even more and build his drive to reach you. Once your dog does reach you, reward him abundantly while still moving back, this is also known as “jackpot rewarding”. You can learn more about this in How to properly reward your dog. 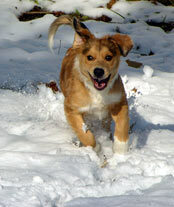 While still rewarding your dog, hold onto his collar for a short period of time and then let him go back to playing. This is an important step for later on so that the dog will not connect the action of taking him by the collar as the end of the game or any other negative experience. You can later add variations to this game like hiding and then calling your dog to find you. Just remember to keep it short, do not over do it as the dog may lose interest quickly. Once your dog has gotten the hang of it, and is coming to you in the manner that you want him to, repeatedly, it is then time to introduce your recall command, whatever word or sound you choose. For example, if I initially whistle to get my dog to come to me, then when he is doing that action successfully, I add in my recall command perhaps “come”, so I will say “come” then whistle, and the dog will respond. Eventually, I will phase out the whistle entirely and the dog will simply be responding to the recall command itself, the word “come”. TIP: Use your chosen command only once. You can praise your dog, or use markers appropriately, but do not repeat the actual recall command. This will only train your dog to think that he can take his time to respond while you keep repeating it. Or he may even connect your repetitive command as the actual one, meaning that if you say it only once he won’t understand it, until you have repeated it. Remember your dog doesn’t speak English or any other world language, dogs do not understand what we say, but how we say it. Do not forget to reward your dog, it is very important. If you stop rewarding your dog, especially in the early training stages, your dog will stop responding! In this phase, you will have a few people involved (family members or people that will be involved with the dog in his daily routines) that will form a circle and stand a few metres apart from each other. They will each start calling the dog one by one. Each one of them has to hold the dog’s collar for a few seconds and reward the dog when he comes to them. Do not drag this game out for too long as this will drain the dog’s energy and he will tire of it quickly. TIP: If your dog is not very interactive, you have to move and motivate at the same time. Sometimes treats and praise are not enough and you have to use the dog’s natural drives and instincts as well. Once you have had great progress and response in the first two phases, you are ready for the third one. This time we will change the location, just to add some environmental stress and distraction into our training. We will also put the dog on a long training leash; remember that we are not using the leash to correct the dog, just to keep him from possibly running away. Leave the dog’s leash loose on the ground. Don’t choose a place like a popular boardwalk or dog park or anywhere with too much distraction. An open field with some distractions or traffic in the background is fine. Later on you will move to more demanding locations. The exercises are the same, call and reward your dog, hold the collar for a few seconds and then let him go. If your dog is too distracted, go a step back in your recall command training or try a less distracting terrain. Once the dog is ready, you can increase the level of training by having someone call out to your dog (with sound, for example) and then you use your recall command while he is on his way to the other person. In the beginning your dog will naturally run toward the person that calls him and will probably disobey your command, the important step here, is that your helper needs to completely ignore the dog once he reaches there. This way, that stranger will be “no fun” for the dog, at this point, as soon as your dog looks at you, call him back and reward him. Soon your dog will start learning to ignore strangers simply because they are not as fun or rewarding as you are. This is an excellent recall command exercise. 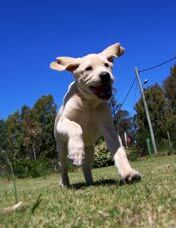 In this phase you increase your dog’s recall command training by adding more stress factors and distractions, gradually. Our ultimate goal is that your dog can play with other dogs in an open area and that he will still reliably answer to your recall command. This is not an easy step, and don’t panic if your dog fails to obey, at first. Just go back a phase in the training process. What we are trying to explain to our dog is that if he recalls we will reward him and then we will let him play again. This is very important. Your dog needs to learn that when you give the recall command, he comes to you, and you hold his collar and reward him then you send him back to play. Remember not to create any negative experiences while the dog is in this training process. That way you will reassure your dog that it is okay to come to you, and that it is not the end of the game. After successfully completing this step you can try dog parks or other highly distracting (but not dangerous) areas. These are the 4 phases required to successfully complete the recall command training. Remember that patience and time are the two keys here. Below I have added a few more tips and important details that will help you while training your dog with the recall command. - It is a simple technique. You call your dog and you “lure” him with a treat then once he comes, you make a fiesta, so-to-speak. Make the action of coming to you worth it for him. 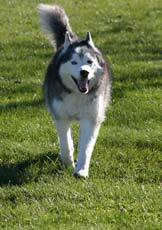 Through repetitions your dog will learn that a recall is a highly rewarding and pleasant action. - Do not create negative associations with recall commands. Like taking your dog away immediately after he responds to your initial recall command, therefore breaking the game with other dogs. A better way is to use the opportunity to practice your recall command a few times throughout the play session, that way when it is time to leave it will not be the ‘result’ of having come to your command. The same goes with hosting guests at your house. You can allow your dog to greet your guests, and trust in your recall command that he will come to you when you need or want him to. If you use a recall command then lock the dog up when he comes to you, immediately when the guests enter, he will see this as a punishment, and not a reward. These negative associations will teach your dog that by coming to you when you recall him, it will end the fun, and it won’t be long before your dog will start avoiding recalls. 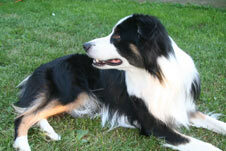 - Always start your dog recall command training in an area where your dog will not have any distractions. You do not want to compete with distractions at this first stage. The best place to train your dog with a recall command is at the house, then in places where you know you can get your dog to respond, and only then move forward to other locations. Just like any other training, once the initial learning phase is done we will then implement distractions. This is one of the most delicate commands, as it is easy for our dog to get distracted and decide not to obey. - Recall is the ONLY command that I use the dog’s name with. But in order to do this successfully, your dog has to know that his name means a pleasant experience, not a negative one, this is very important. If you prefer, you can use a recall command such as “Come” or “Here” or whatever word you are comfortable with. Remember that the dog does not understand the definition of the word; he will only learn what you teach him about what that command means. - This is the only training and command where you don’t use corrections. Once your dog has come to you, even if it takes half an hour, you will still praise and reward him. You will later address his unwanted behavior or whatever the reason was for him not to come in the first place, but never correct your dog when he returns to you; you always want this action to be a positive experience for him. - Do not rush through the training procedure and do not overdo it. If you rush, and increase the distractions too early your dog may stop responding, if this happens simply go back to the previous phase of the training. If you overdo it, it will become a boring game for your dog and you will destroy his motivation to learn and obey the command. - One of the biggest secrets of course is to keep moving. You will increase your results by 300% by following this simple rule. Once you call your dog and your dog starts running towards you, start walking backwards when he is less than half way to you, this will engage your dog’s instincts and prey drive making the recall even more successful. Not to worry, you are not becoming his prey; you are simply using his natural prey drive to create the behavior that you want. ...even if you are trying to motivate him by walking backwards, try turning your back on him and begin walking away. Also try playing with your dog, hide yourself and then call him so that he can search for you, reward him when he finds you. Some dogs need a higher level of mental stimulation in order to get motivated and react. Some dogs may still have problems responding to the recall command either due to high levels of distraction or excitement, or if you have a dog that already has an undesired, but already established behavior. In these cases you can try some of the steps from the behavior issues and behavior modification pages; there you will find more details and solutions that may help your specific situation.